Home » Pet business » Types of Grooming Apparel – Which One will You Choose? Types of Grooming Apparel – Which One will You Choose? If you are a pet groomer, you might have realized that it’s a rewarding profession; but it’s certainly hard on your clothing and also your body, as when you call it a day, you are fully covered with fur and your body is sore from head to toe. But don’t worry! Here’s specially made grooming apparel with which you can eliminate the mess and stress! Grooming apparel is of various types. You can choose every type or of only a specific type or types suitable to you, and your professional life will be far easier than ever before. Nothing is more uncomfortable and risky than wearing damp clothes all day long and while pet grooming sessions, it’s bound to happen. It can make you look shabby; moreover it carries the risk of developing rashes, cough and cold. A waterproof apron is a lifesaver in such a condition. Moreover if the apron has pockets, it’s even more comfortable because you can keep all your grooming tools at hand in the pockets. 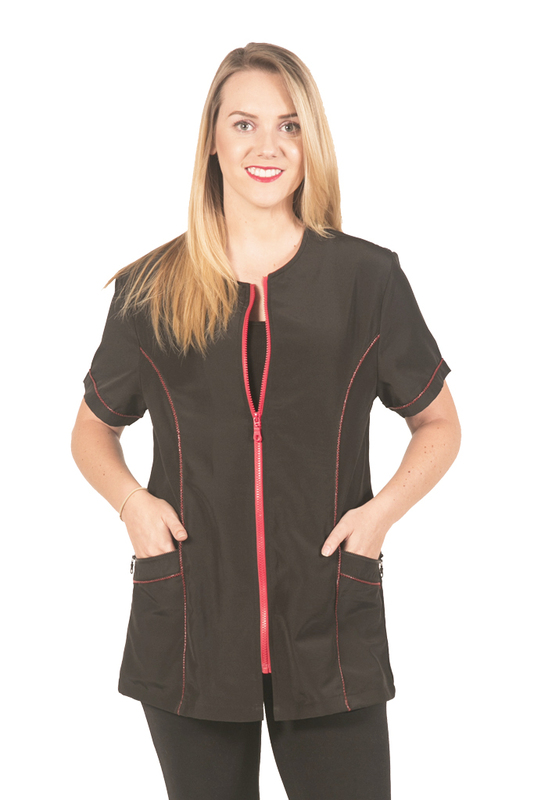 Groomers jackets & smocks are extremely helpful in keeping your clothes free from loose hair and snags. They are also very easy to slip off during breaks or while leaving the shop for some other work and slip it back while resuming the work. Grooming sleeves are beneficial for any groomer. Both ends of these sleeves are often elasticized for a snug fit above the elbow and at the wrist. They help you to keep your arms dry and also offer a little bit of protection from accidental scratching when your clients struggle during a shower. Washing pets all through the day can indeed damage your hands. In such a condition, protective gloves or mitts can protect your skin against continuous exposure to shampoo, water and anti-parasite products. Scrubs have not limited anymore for medical fraternity. They make a perfect uniform for pet groomers too being easy to wash, comfortable and quick drying too. While they may be easily forgotten, shoes are probably the most important components of your grooming apparel. You should be keen in buying groomer’s shoes that provide a comfortable support, non-skid soles and waterproof uppers. If you want to splurge on one item of your grooming apparel, you should choose shoes for that. Visit Ladybird Line to choose from an extensive range of groomers’ clothes. You will get high quality beautiful groomers’ apparel here in a range of colors just as you want.